There are few works which handle transgender characters well, and fewer works which people can actually say helped them understand what it’s like to be transgender. As a result, trans people tend to cherish such works and hold them dear. For me, that work was Wandering Son. Wandering Son (Hōrō Musuko) is a manga written by Takako Shimura, known for her LGBTQ works, about a transgender girl named Shu. The series, which was serialized in Comicbean from 2002 to 2013, is one of the few works to really understand what it means to be transgender and the emotions associated with it. In the interest of helping people understand why this means a lot to me, I thought I’d dissect the themes of Wandering Son, the impact it had on me, and how aspects of it related to my own experiences coming out as transgender. For the first part of this I’d like to focus on the main protagonist, Shuichi Nitori, and their best friend, Tatsuki Yoshino. Wandering Son follows Shu and Tatsuki’s journey of understanding and revelations from childhood to adulthood, and the friends and enemies they make along the way. It’s incredibly rare to find transgender characters in media. Even rarer to find positive portrayals of trans characters. Rarer than both of those, however, are sci-fi settings which depicts a hopeful future for transgender people. 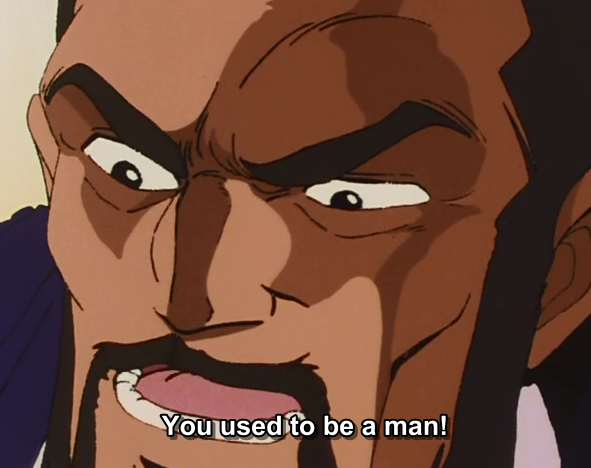 Which is why I was rather surprised to find that The Dirty Pair, a somewhat fanservicey comedy anime from the 80s, had one of the most progressive depictions of a transgender character I’ve ever seen. Thank you so much for donating to my Patreon and helping me make ends meet!